Red and yellow, the Salming Race R1 3.0 squash shoes are lightweight and comfortable. Your feet are well in place, which reduces the risk of joint injuries. 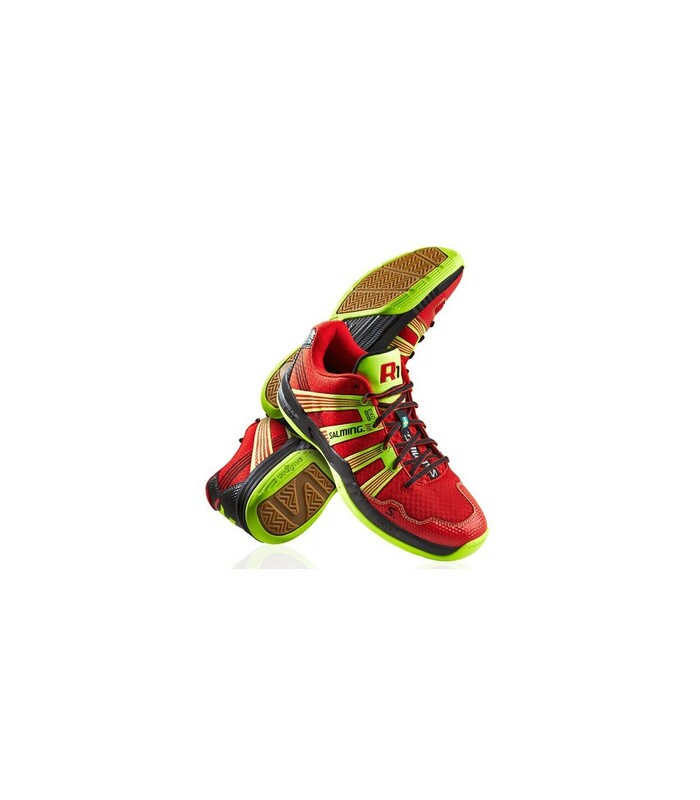 The red and yellow Salming Race R1 3.0 squash shoes help to keep your feet properly during your squash game, especially on the lateral movements, that can be violent for your body. With your feet well in place, you avoid injuries and can move fast and precisely, thanks to the stability these squash shoes provide. 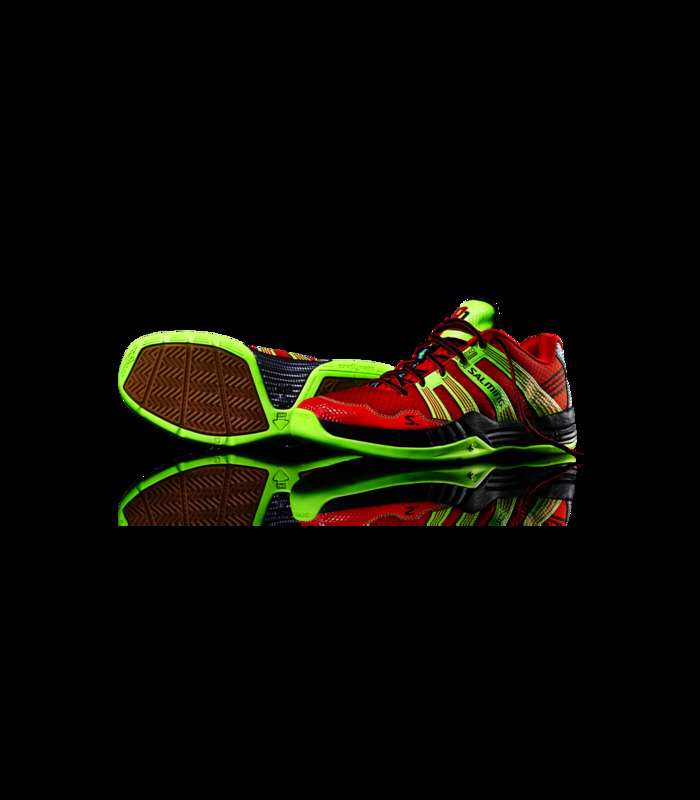 With the red and yellow color, the Salming Race R1 3.0 squash shoes are very nice and will give you style in the court. These high quality squash shoes are light and will be on your feet for a long time, they are durable and breathable. Besides, they don’t mark the squash court. These squash shoes provide good stability, good resistance and good cushioning, which is essential for your squash game. You can move easily with the lightness of the Salming Race R1 3.0 squash shoes. Play with style and comfort with these squash shoes. It’s often said: after effort comes comfort, but with the red & yellow Salming Race R1 3.0 squash shoes, you don’t have to wait to get comfort, it’s comfort and effort at the same time during your game. You’ll really enjoy playing with these squash shoes. These squash shoes are breathable, which is appreciated during after the squash game. 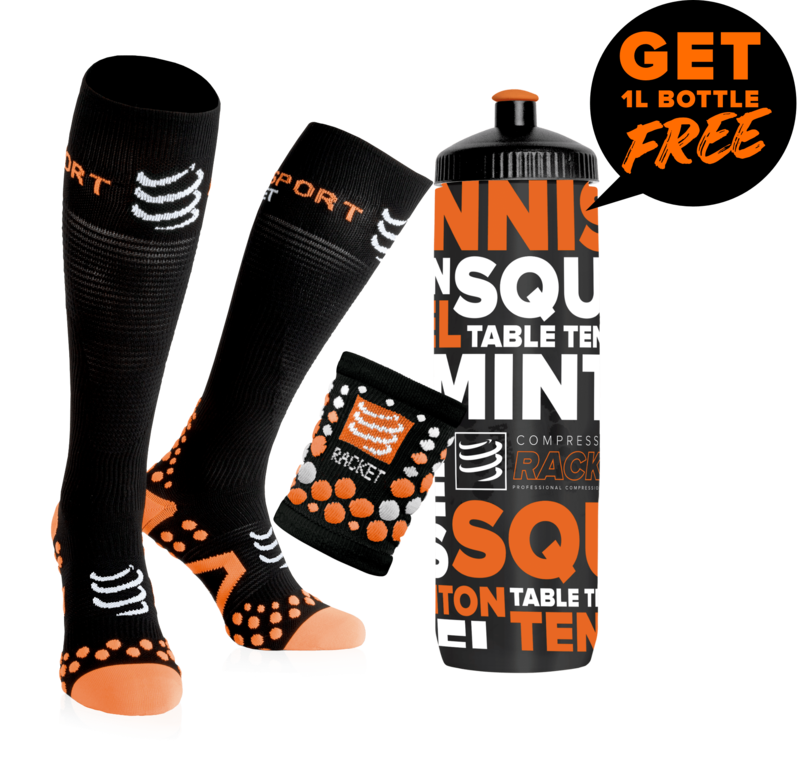 These squash shoes are reinforced, which provides comfort to the players. Besides being pretty, the red & yellow Salming Race R1 3.0 squash shoes are durable. These squash shoes are ideal whatever your level. With these shoes, you can play in better conditions.